By admin , in Ankylosing Spondylitis on February 2, 2019 . This disease mainly occurs rheumatic in men and presents with pain and swelling in the lower the spine, as well as in severe cases causes loss mobility and progressive deformity. Their detection and treatment can stop its devastating consequences. 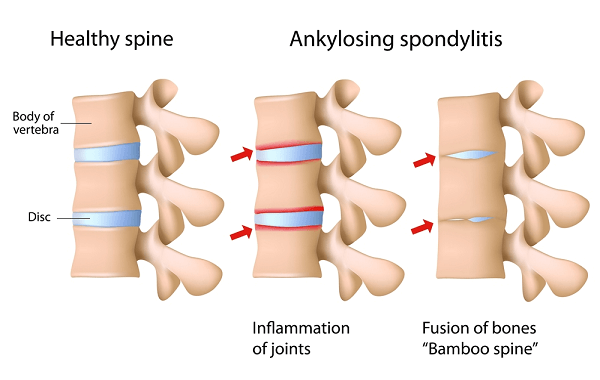 Ankylosing spondylitis, has accompanied human beings since ancient times, because thanks to the study embalmed body know that several pharaohs of ancient Egypt had disease that deforms the spine and reduces its flexibility. However, it still represents an enigma for medicine, because that it is unclear neither the cause nor a cure has been found. This condition is characterized by joint and ligaments that allow movement of the lower back or region sacroiliac (joint between pelvis and spine) have episodes swelling, soreness and stiffness. Over time this problem can be around the trunk, initiating a process of degeneration in the bones (vertebrae) may merge or unite, so that the column becomes rigid and inflexible. The severity of symptoms and the likelihood of disability vary from person to person, since there are times when the discomfort occasionally occur throughout life and cause no difficulties, but there are also cases where complications are considerable and the condition affects the other body regions. Fortunately, we know that early diagnosis and proper treatment help control pain and stiffness and to reduce or prevent deformities. It is estimated that ankylosing spondylitis is three times more frequent in men and develops, usually between 16 and 40 ages of no known cause, but there may be predisposing genetics because the disease is 10 to 20 times more frequent people whose parents or siblings have it, since recent research have shown that a particular gene (known as HLA-B27) is in over 90% of patients. The first manifestations of the disease develop slowly over several weeks or months, with alternating periods normal activity with episodes of chronic pain and stiffness in back low hip and these outbreaks are unusual submitted after or during times of rest or inactivity, so that the person concerned wakes in the middle of the night with discomfort in the spine and is very stiff in the morning. If time pass and no treatment are given to identical disturbances can affect the upper spine including the rib cage and neck. As mentioned, the inflammation can cause bones to fuse or grow together, so that back, neck and chest lose their normal flexibility and may even limit the expansion normal breast and make breathing difficult. Ankylosing spondylitis also comes to affect to hips, shoulders, knees, ankles and heels, thus limiting their movement significantly and causes embarrassment when standing or walking surfaces hard; also been observed that may involve other organs and cause fever, loss of appetite, fatigue and inflammation in lungs, heart and iris of the eye (iritis); regard to the latter worth mentioning that when there is a serious condition that requires immediate attention of an ophthalmologist and may present up in a quarter of cases, causing redness and pain in the globe worse eye when looking at bright light. All this is due to ankylosing spondylitis occurs when the immune system (which defends against infections and diseases) undergoes an alteration and starts attacking those cells body mistaken for invading microorganisms, as well, although the antibodies damaged first defense to a specific region of the spine, no wonder that extend to other areas, as already mentioned, and affect. 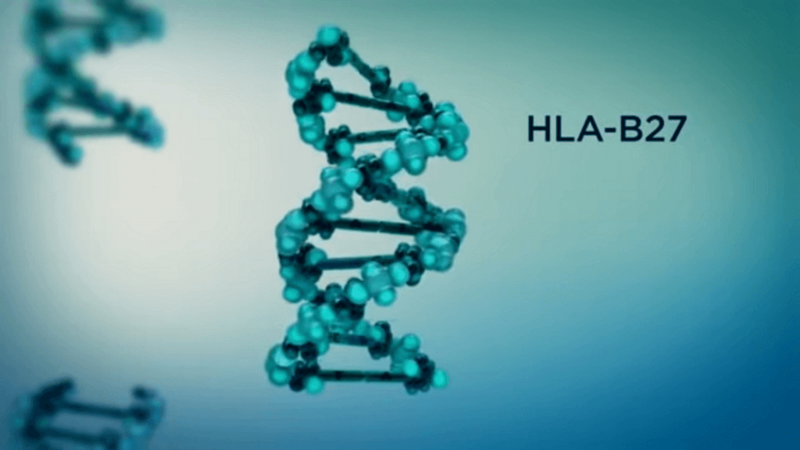 Still not entirely clear why this reaction, known as autoimmune, and although it is believed that the longer HLA-B27 quoted has some responsibility, only 2% of those who possess at risk of developing this condition. The symptoms of ankylosing spondylitis usually spend unnoticed in its early stages, as they were confused with a problem minor annoyance (by poor posture while sitting, tension excessive, or impingement of the sciatic nerve, for example) also Women may have problems the mildest form, by so detection becomes difficult in the early stages. Most patients visit the doctor when discomfort in the back is more common and important, so the rheumatologist diagnosis is based on the observation symptoms, physical examination and questions aimed at establish the patient’s medical history or the presence of problems Similar to other members of the family. It is common for the specialist request radiographs of the spine and affected joints (especially the base of the spine and hips) to know the degree of deterioration and the possible formation or fusion of bony bridges between vertebrae that causes stiffness of the spine. Other tests are often helpful reviews blood and detection of HLA-B27 gene. 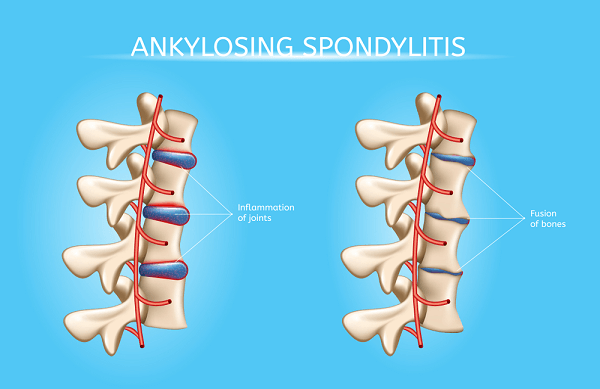 The vast majority of patients with ankylosing spondylitis who are diagnosed and adhere to their treatment can lead a normal life and productive, although not ruling out the possibility that in some cases the evolution of the disease is greater and causes severe deformities. Drug therapy is based on an anti-inflammatory group specific (named by scholars “nonsteroidal”) in order to reduce pain and inflammation in joints and back. Also are used for short periods of muscle relaxants, oral or direct application to eliminate discomfort and occasional transient. More important still is the practice of exercise recommended by the rheumatologist, as thanks it prevents the deformation of the spine (may suffer forward curvature which becomes permanent without treatment) and loss of flexibility as well as capacity increases of the lungs to function properly. Without doubt, the best exercise to strengthen the back of people affected is swimming, while not recommend contact sports and set (tennis, soccer, basketball) for the latent possibility of injury. Sleeping on a firm mattress with a thin pillow on the back or one that you give support for the neck, the legs should remain straight and avoid, at all costs, the “fetal position”. When walking or sitting, back be as straight as possible, with shoulders back and head straight. You can verify the position of relying back to a wall, heels, buttocks; shoulders and head should touching the surface simultaneously. Avoid the use of belts or corsets to immobilize the spine, because it does not offer assistance or improvement. Do not lift too much weight to not force the spine. Eradicate the habit of Non-smoking impair respiratory function. Take a shower in the morning or before exercising to relax muscles and relieve stiffness. If the flexibility of the back is very limited, it is recommended to ask your advice to a rheumatologist to use special or technical articles to assist in work and put socks and shoes. Finally, note that both treatment and medical monitoring should be made for life, and the possibility of relapse is always latent. Also, should be clarified that although there are surgeries to replace joints (hip, knee and shoulder) that they allow the flexibility of many patients; they only performed in specialized sites and reserved for extreme cases. The best alternative for ankylosing spondylitis, for now, remains the combination of exercises, management of inflammatory and supervision by the rheumatologist.